PVC curtains are useful in a number of ways, particularly when you are trying to prevent contamination. If particles in the air are of concern to you, or you don’t want things getting dusty, then PVC is a good material to help keep your products safe. Here’s how it works. You have probably seen PVC curtains in use in storage units, usually used when refrigeration is also present. This material is chosen for the task because of the fact that it can slow down or even prevent the transfer of hot and cold air, meaning that it costs less to keep the unit fully refrigerated. However, PVC can also have other uses in this context. When you have items stacked inside a storage unit behind a PVC curtain, this will also prevent dust and other undesirable particles from getting in. Because the barrier sits in place above or around the products, dust will simply sit on the PVC curtains themselves – and they are easy to clean with a simple wipe down. This means that the dust does not get through – though it is important to keep up with cleaning the PVC so that the dust cannot slip inside the unit when the curtains are disturbed in order to take out or put in an item. Another popular usage of PVC curtains is to hang them in doorways, creating a barrier between an outdoor space and an indoor space. They can also be used to form a barrier between two indoor spaces – which might be relevant, for example, if you have machinery in one room which can put out a lot of dust, soot, or so on. Without anything in place, a breeze or the passage of people stirring up the air can easily carry particles of dust and contaminants from one space into another. But if you have the PVC curtains in place, these particles are effectively blocked from entering the space. They will stay in the room that they were created in, or in the outside. A solid door might manage to achieve this as well, but the difference is that PVC curtains can let in light, air, and make passage more easy. 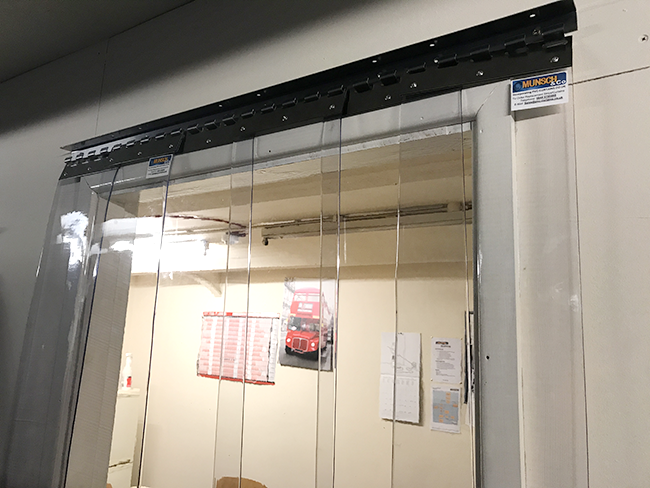 Instead of having to open a physical door, humans and machinery such as forklifts can easily pass between the curtains, moving them out of the way with little effort. At the same time, smaller animals, insects, dust, and even noises or smells will have a hard time going through the barrier. This makes PVC a great solution which gives the best of both worlds. You don’t even need to have PVC curtains permanently installed in place. They can be put in on a runner, so that you can pull them across when you need a curtain and push them back when you don’t. This is a great idea in areas like workstations which might not always be in use, or in situations which can change day to day. You might only need protection when something worth protecting is on site, and can then make access more free when there is no need to keep out dust and contaminants. 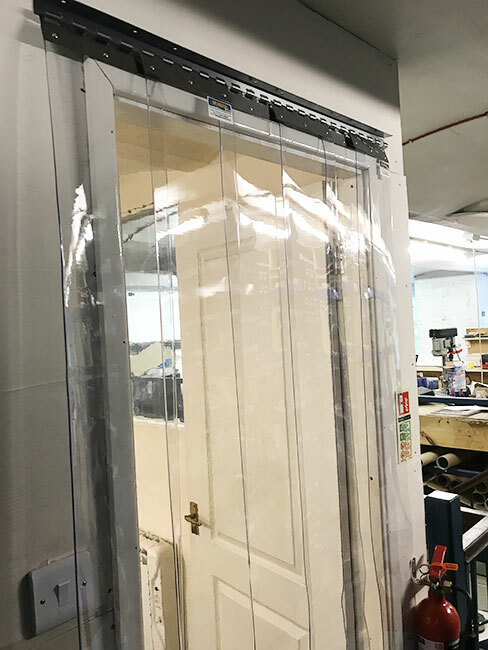 If you are worried about dust and other forms of contamination, a PVC curtain is a good all-round solution which can work in a large number of different scenarios. When it comes down to it, this is a fantastic way to simplify the problem and deal with it as effectively as possible without running up huge costs. PVC crash doors can be an essential component of health and safety in warehouse and storage environments. They are convenient, cost-effective, and make a big difference in the workplace – creating an area that is more comfortable and easier to work in. Here is everything you need to know about PVC crash doors and how they could be a positive force in your warehouse. It is very easy to buy and get your PVC crash doors installed, which is good news if you are agonising about which solution to go for. Unlike ‘normal’ doors, which are usually more heavy duty and made of wood or thick plastic, PVC doors are very flexible and can be easily cut to size. This means that you can order the precise dimensions that you want and still get them delivered to you in a very fast timeframe. It’s also simple to replace all or part of the crash doors should you ever need to do so. The PVC doors can be removed and new versions installed in no time at all. You don’t even need an expert to install them for you in most cases. 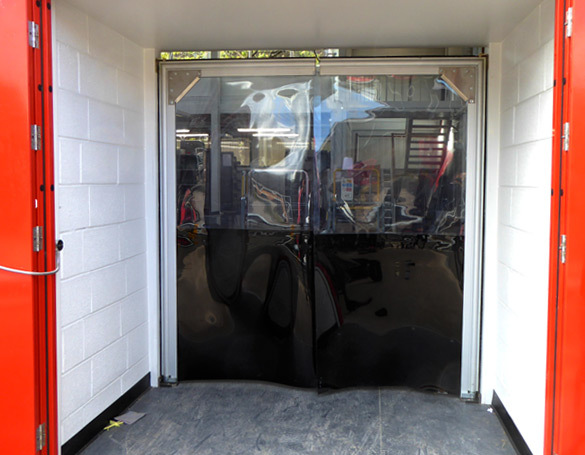 The big thing that will attract most business owners to looking into PVC crash doors is the fact that they are a lot cheaper than almost all other solutions. You can go for plain, clear PVC doors which give a full view through to the other side, or you can have some of the door area coated black or grey to provide different panels. This is all done at a very low price, even with a very high standard of quality. This means that you can save funds, spending them on other areas of your business that need attention. Since they also increase safety in the workplace, especially if you are in a warehouse where forklifts are used, you can also envisage a saving in terms of the reduction of workplace accidents and sickness. This is great news for increasing your efficiency and improving your bottom line. PVC crash doors can also make the workplace environment more comfortable for your employees to be in. Since you can see through the PVC to the other side, it is easier to move around, especially with vehicles or when pedestrians mingle in vehicle areas. Being able to spot anyone who might be coming towards the door is a huge health and safety boost. PVC is also a fantastic material for keeping areas separate. It can prevent the flow of noise, temperature, and smells, as well as keeping out pests. If you have a cold storage area, for example, you can reduce your heating bill and keep the outer area more comfortable because the cold won’t leech out (or the heat in). If you have an area with loud machinery, workers who are on the other side of the PVC doors won’t see as much noise pollution – which is great for their hearing. There’s also less chance that smells will transfer, which can be hugely important in storage facilities or workshops that deal with chemicals or foul-smelling processes. With less transfer, your employees will find their work more enjoyable, and won’t have to worry about strong odours as often. When all is said and done, you can’t go far wrong with a PVC crash door in a warehouse or storage facility. They have plenty of plus points all round, and there are no disadvantages to be seen. This makes them the obvious choice, particularly to separate areas of your space from one another. Why should I be using PVC curtains in the cold weather? PVC is a great material which sits in just the right place to give us a large number of benefits. One of these is the fact that it is heavy enough to form an effective barrier, whilst still being light enough to be brushed aside by anyone wanting to enter. Some of the things that well-fitted PVC curtains can keep in their own separate spaces are heat, smells, noise, and small bugs and pests. Because the plastic curtains fall down to create an effectively sealed doorway, the heat does not transfer through as much as it would in an open space – or even in a doorway where the door was left partially open to allow access. This means that if you have a space where you are constantly moving through to the outside and back again, PVC curtains can be a more effective option than a door. The great thing about your curtains being outside is that they won’t show much wear and tear from the environment. PVC is very durable, and is unlikely to pick up much damage as a result of low temperatures. If you choose to go for freezer-grade PVC, you won’t have any problems at all. It is also designed to withstand higher temperatures from the sun, so you won’t have to change your curtains when the summer comes around. Where the rain and cold might cause wooden doors to swell and warp, PVC curtains will remain in the shape that they were when they were installed. They are difficult to damage, and surface scrapes won’t do much at all towards the effectiveness of the material. They are also very easy to clean as a simple wipe-down with a damp cloth will normally do the job, so they are always suitable for the outdoor environment. Above all of this, you will also want to know what such a handy material costs. You will be relieved to know that PVC is priced very cost-effectively, particularly when you shop from a source that is able to offer you good prices on high quality. They will not need to be replaced for a very long time, and even if something should happen to one or more of the strips, you can replace them individually to make things easier. This means a much smaller bill if an accident should happen – though it will need to be a pretty big accident to necessitate a replacement! You can have the PVC installed on a fitting that suits you the best, such as hanging curtains which are fixed in place or a sliding option so that you can push them back out of the way if needed. There is a lot more flexibility in these than getting a solid door, and chances are that they will also cost you less – especially if you are interested in quality products only. Even though it might not seem like the most obvious solution, PVC is actually fantastic for keeping the cold weather at bay. Your PVC strip curtains won’t mind the wind, rain, and cold – they will keep their place and ensure your heaters don’t have to work too hard to compensate for the entryway. Will using PVC curtains save money long term? You might be interested to know whether PVC curtains are a good investment to make. Are you going to save more money over the long term by using these curtains, as opposed to other materials or even a solid door? The short answer is yes – but if you’re looking for the details, read on to understand exactly how and why. The first big area of saving is going to be in your bills. PVC curtains help to act as a barrier for noise, temperature, smell, and anything else that normally moves along with free movement of the air. Because air doesn’t flow quite as freely through the thick material, this means that you will save on the time and money you normally spend on correcting those problems. If you are heating or cooling a room on one side of the barrier, but not the other, then your bills can be reduced dramatically. For example, a refrigerated room used for the cold storage of food can be kept cooler without so much transference of hot air through the entranceway. As the cooling units won’t have to work as hard, your bills will be lower. Another area in which PVC has an advantage is the fact that it is transparent. This means light can pass through – so having a PVC curtain instead of a solid door means that you won’t be as likely to need to turn the lights on, since natural or electric light will flow from one space into the next. While noise and smell might not be obvious bill-savers, they can certainly help with reducing the smaller measures that you might undertake. The same is true of the fact that pests are often faced with a barrier to entry in the form of PVC. Not having to buy bug killer or use a fan to circulate smelly air away can also save money along the way. PVC strip curtains are very durable, and can withstand a lot of work both indoors and outdoors. While they might not last as long when exposed to the elements, they will still last a lot longer than some other materials that you might be tempted to go for. This means that you won’t have to replace them for a good while. Over time, the costing of purchasing and installing your curtains – which is already set at a low price – will seem even more reasonable compared to the alternatives which would require replacing more often. Plus, if you need to replace just one strip from your curtains, you will be able to do this, rather than buying a whole new set just to replace one bit of damage. This is where it really becomes advantageous that there are different strips to deal with rather than one single piece, such as in a door. PVC curtains can also improve safety in the workplace or even at home, because they provide a barrier that a human being can easily push through without having to open a handle. They’re also see-through, which means you can always see if there is a hazard waiting on the other side. Reducing the amount of accidents will definitely save you money, as well as limiting downtime and therefore ensuring that your staff operate at full capacity as often as possible. This can be a huge boon for you as a business, and will definitely allow you to save money. If you are budget-conscious, then PVC curtains are definitely the only way to go. The money you can save over the long run could add up to something really significant! 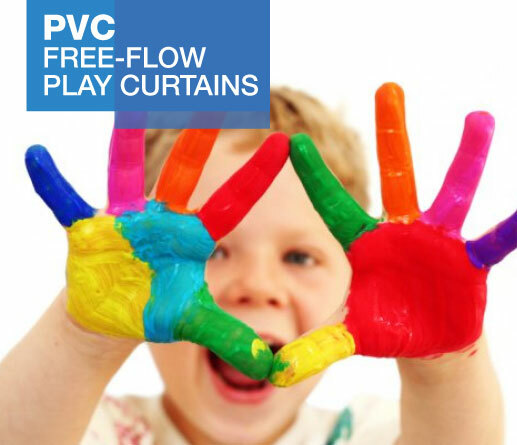 How can free flow PVC curtains be used in schools? In order to make schools as safe, fun, and open for learning as possible, it’s sometimes important to try new materials and change the environment. One way to do this is to use PVC curtains to create a free flow play area, where children have access to both indoor and outdoor environments. Why is free flow important? Being able to play both indoors and outdoors gives children the chance to grow up with healthier bodies, getting more exercise as well as breathing fresh air and feeling the benefits of natural sunlight. It will also help to stimulate any child’s learning and growth more, as they have different environments to explore. This can help them to develop faster both mentally and socially. How can you create a free flow play area? The common choice for schools is to simply have an open door. This door can be closed when it is raining outside or the children need to focus on indoor lessons, but left open whenever it is fine to play outside. However, there is a big problem with this option. The open door presents both a hazard and a waste of money. Heat flows outside in the winter, costing huge amounts of money in wasted energy, and cooled air does the same when it gets too hot in the summer. Insects, rodents, and other small pests can also get inside the classroom and therefore the rest of the school, meaning it is not as safe as a classroom with a closed door. On windy days, leaves and litter can blow into the classroom – while pupils’ work can drift out on the breeze. How do PVC curtains help? There are a number of great benefits to having PVC curtains installed. They can be placed on the inside of an existing door, rather than having to replace the door completely, so you can still have a closed door when you need to. They reduce noise and air pollution greatly, stopping smells and shouts from drifting in to distract students when they are supposed to be working. They also serve as a physical barrier which stops insects, small pests, and leaves or litter from coming in and out whenever they would like to. On the other hand, the curtains are also soft and light enough that children can run in and out as much as they like without any problems. From a health and safety perspective, PVC curtains can also be very helpful in the classroom environment. Their very nature means that any clumsy children will be safe, as falling into them, walking straight through them, or catching hold of an edge won’t cause any injuries – they will simply give way. They are also easy to clean, with a simple wipe-down with a sponge normally being enough to clear dirt and germs away. They also, critically, keep heat and cold air from moving too much through the area. While there will still be a minimal amount of heat transfer due to the fact that the doorway is not completely sealed, it will be much less than in normal circumstances. You also don’t have to rely on children remembering to close a door, as the PVC strips will just fall back into place whenever someone passes through! For a free flow environment which encourages children to enjoy both the indoors and the outdoors, it doesn’t come much better than PVC strip curtains. They will vastly improve the quality of your pupils’ learning and growth through play. PVC curtains and doors are useful all year round, but in the winter, they can have particularly helpful applications. Here are the four reasons why you should think about installing PVC strips at your place of work ready for the winter. The big thing you have to deal with in the winter is your heating bill. Whether you have open entranceways or closed doors, you will inevitably face some loss of the heated air that you have paid to warm up. When the door is opened, and particularly when an employee subsequently forgets to close it, the air loss can be rapid. Your heating bill will rise dramatically as a result. With PVC strips, there is a much higher degree of heat retention compared to an open doorway. When someone passes through, the strips fall instantly back into place, which makes it superior to a door as well. With the cold weather in the winter, it’s easier to forget about hygiene. This is still a huge issue in many workplaces, however, and does need to be addressed at all times of year. PVC curtains help to prevent the spread of germs, and will keep noise pollution to a minimum as a bonus. You can also wipe them clean very easily, which will keep it simple for your hygiene team. Many materials are simply not cut out for the job of surviving the winter when they are exposed to cold weather. Wooden doors can swell when soaked with water, and repeated freezing can cause many materials to crack. Freezer-grade PVC is capable of withstanding low temperatures without cracking, changing shape or size, or sustaining any damage. It will still remain flexible and perform as expected when temperatures are low. This makes it perfectly suited for an outwards-facing door or window. 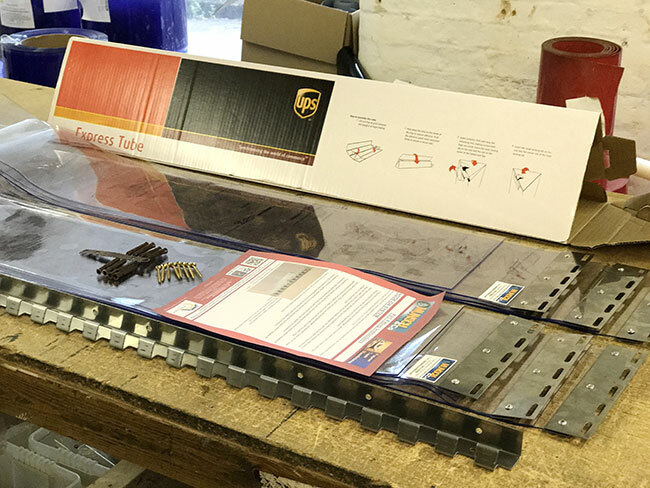 If you are realising in the middle of the winter that you need a new door solution, or you need to put in some repairs, then it’s a huge bonus that PVC strips are easy and quick to install. They will arrive with you and be ready to go very soon, so you will have to endure the heat leak for less time. It’s also very easy to replace the curtains, even if it is only one strip that has been damaged. You can simply detach it and hang a new one right in the same place. It’s as easy as that, and installation couldn’t be quicker. This is a huge benefit when time is of the essence. You also won’t need to replace them often, because of the durability that we explored earlier. Whatever time of year it may be, installing PVC curtains and windows is a fantastic way to improve your workplace and increase your efficiency in terms of heating and health and safety. In the winter, it’s clear that these steps are even more necessary. Don’t waste time with other solutions which won’t do the same job! Our PVC curtains are built to last, with high-quality material keeping them going for much longer. Eventually, though, PVC will deteriorate – and it’s important to notice those signs so that you can get it replaced as soon as possible. You don’t want to wait until it’s more of a problem. Here are the signs to watch out for. Your PVC curtains are built to stand up to a lot of abuse, but that doesn’t mean that they are impervious to harm. Particularly if they are in regular use, this can build up scratches on the surface of the curtains. These might not be as much of a problem in themselves, although they can cause a build-up of bacteria if they are not properly cleaned. However, when cuts and nicks also start to appear, that’s when it’s time to replace the strips. You should be able to see fairly well through your curtains. Over time, however, the surface of the PVC may become cloudy, making it more difficult to look through. Giving them a good wipe clean may bring them back to their former glory. If the clouding is not dirt, but rather is in the PVC itself, then this is a sign that you will need to replace the whole curtain – and soon, especially for health and safety reasons. Most PVC curtains aren’t built for low temperatures, so when using them in freezer units, you should opt for freezer-grade PVC which has been specially treated. If you don’t take this precaution, then your PVC will start to crack and split under the pressure. The cold temperatures basically make it too rigid, which then means it is more vulnerable to breakages. This may also happen when your PVC is reaching the end of its life. If you can’t get the dirt off your PVC strips, it’s very possible that you have left it too long between cleaning them, resulting in the dirt settling in too much. On the other hand, it could also be that the plastic itself is deteriorating, allowing the dirt to penetrate the outer layers. Either way, if you can’t get it clean, it’s definitely time to order some replacements. One of the great attributes of PVC is how flexible it is. Your PVC curtains will flop and slide out of the way when you walk or drive through them. But if it starts to seem as though they don’t want to bend, and they hang more stiffly, it could be that the PVC has gone through too much stress and you now need to have those strips replaced. If it is an age issue, you will likely see the problem across the whole curtain. 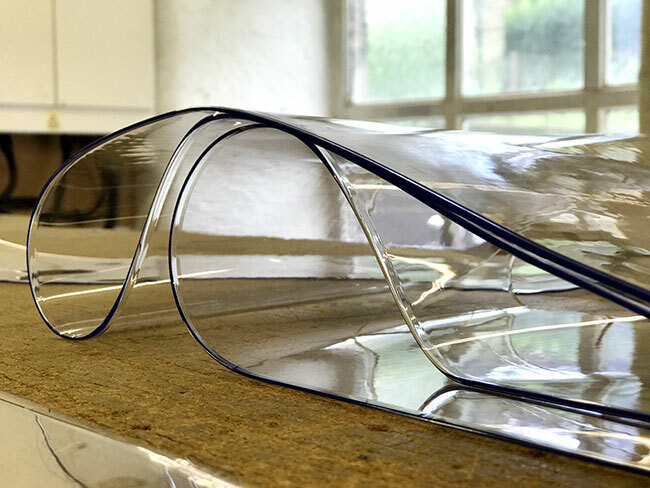 Over time, the PVC may warp and twist in place, particularly if it is subject to repeated motions – such as always being twisted out of the way in one direction and held there for long periods of time. 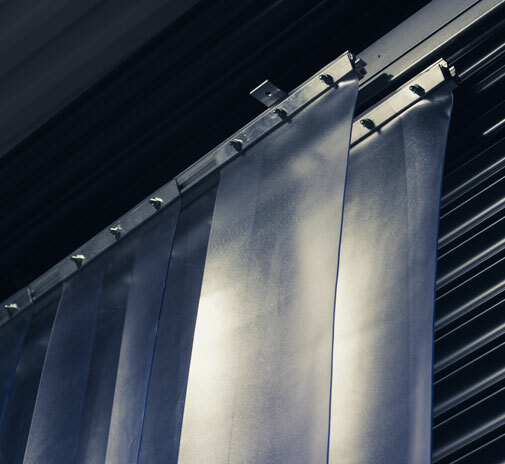 If the strips are no longer hanging in such a way that the PVC curtain is complete, it’s time to get new strips – otherwise you’re losing out on the heat retention and anti-pest properties that the curtains would normally provide. There are a few signs to look out for that your curtains need replacing, but it’s also easy to keep them going for longer. Use them in the correct environment, clean them regularly, and ensure more careful use – and these signs may not crop up for a long while. Our PVC curtains are carefully selected from the highest quality materials to ensure that they will last for as long as possible for you. However, even with these measures, you may wish to increase their lifespan. This means you’ll have to replace them less often, saving you money. Here’s how you can ensure that they last as long as possible. Not all PVC curtains are created equal. You’re guaranteed the best quality by coming to us, but you should also consider the environment that you will be using them in. Cold stores are a great example of an environment which requires a special grade. PVC has to be treated in a special way in order to withstand lower temperatures. If it doesn’t have this treatment, it will be more likely to crack and break over time. We always want to make sure that it’s as easy as possible for you to install your curtains, and we can even install them for you. But if you choose to install them yourself, it’s really important that you fit them correctly and get everything hooked up the way that it should be. You can easily contact us for advice, and use our tools and guides to make sure the installation goes smoothly. There are different types of suspension for PVC curtains, so it’s important to get the right one and make no mistakes. You don’t want to damage your curtains before you’ve even really started using them – and these weaknesses can build over time to become a big problem. A lot of customers end up thinking they need to replace their curtains, when really, they just need to clean them. Over time, though, that dirt can build up to a level where it can no longer removed, so it’s important to clean regularly. It’s easy to clean the strips, and this will prevent them from gathering germs or becoming difficult to see through. Just use warm water and wipe down the strips with a sponge or cloth. It’s as simple as that, and the dirt should come away. Since it’s so easy, there’s no real excuse for not making it part of your daily or weekly clean-up routine. Especially if used in a food production area, it’s an important task to keep on top of. If you have one damaged strip in your PVC curtains, you might be thinking in despair that you need to replace the whole curtain. Actually, this isn’t the case. Because they hang in strips, we can actually replace just one at a time, meaning the rest of the undamaged strips can stay put. This will save you a lot of money and hassle as you won’t need to rush out and buy new ones in response to a small accident. It won’t matter at all that the strips are different ages, and if you do need to buy a whole new curtain, you can always keep any strips that are still in good shape as spares for the next time you make a replacement. Store them carefully and they’ll work a treat. You may have heard of the term uPVC previously, but with no indication of what it actually means. Is it different to PVC, and if so, how? We have all of the answers so that you don’t have to work it out for yourself. There are many differences between the two – and this is what they are. The biggest point of difference between the two forms of plastic is in the way that they are made. During the production process, plasticisers are added to the lightweight plastic in order to turn it into PVC, or polyvinyl chloride. This makes it softer, and more flexible. If the plasticisers are not added, then it becomes known as uPVC – unplasticised polyvinyl chloride. That distinction helps us to understand where many of the differences come in. In the US, it is also known as rigid PVC or vinyl siding. As a result of the manufacturing process, PVC also contains phthalates and BPA – which uPVC does not. Understandably, there are a lot of different uses for both forms of the plastic. PVC is used in our strip curtains, because it is flexible and can be easily moved out of place, as well as being transparent and lightweight. It can also be used for pipes, cable insulation, toys, and even items of clothing. uPVC, on the other hand, can be used for more solid requirements, like window frames. It is also often used for plumbing and draining purposes. As we have already mentioned, PVC is a lot more flexible – but it is also very durable. It can be made transparent, and requires a low cost to manufacture. uPVC is rigid and will not flex. However, it is also durable, and it can be recycled easily. It is fire-resistant and is also considered to be safe for transporting drinking water, which is why it is often used for plumbing and piping. It is also resistant to chemical erosion, and the smooth interior helps to encourage water flow. PVC, on the other hand, would normally be used for waste lines, irrigation systems, or pool circulation systems. It’s easy to cut into small pieces and can be held together with glue, which makes it a great alternative to copper or aluminium pipes. PVC-coated wires can be dangerous in a fire, and plasticisers can also leach out of PVC into the environment. This is why it’s a good idea to invest in PVC which has been given a fire-resistant coating where possible. Some phthalates have also been flagged up as dangerous, but they have been replaced in modern manufacturing with other forms. There are no real safety risks with uPVC, particularly considering that it is already fire resistant and thus will not release fumes in a blaze. Both forms of plastic can be coated with extra resistance, and PVC can also be altered slightly during manufacturing in order to make it more resistant to cold temperatures. This is ideal for use in the food industry, where cold storage and freezer storage are common elements. What to look for in a high quality PVC strip door? While you might be able to find PVC strip doors at extremely low prices, usually this means that you are going to end up with something low quality. So how do you know when you’ve found something like our products – the best quality at the lowest price? Use these tips as your checklist. Europe is usually the supplier of the highest quality PVC, so this is where you should be looking to buy your strip curtains from. The UK and France in particular are known as the best. The reason for this is partly due to the manufacturing process. In these countries, UV stabilisers are required to be added to the PVC. This means that they won’t see as much damage from the sun’s rays, which can blister them or create cracks in the surface. You want to make sure that your PVC strip curtains will last. Durability is important in a material that will be used roughly as a doorway for a long while. It is probably going to be used daily, with many people passing through during working hours. This means it needs to be strong enough to withstand a certain amount of abuse without getting damaged. When you have the PVC strips in your hand, examine them closely. Good quality PVC will be almost translucent, allowing you to see through with only a small amount of distortion. This is very important for health and safety considerations. Low-quality curtains will be closer to opaque, which is a sign that they have not been manufactured to a high enough standard. Light won’t pass through very easily, which means more money spent on your electricity bills every month. Can you see dirt on the PVC strips already? If you don’t see it now, then you will certainly see it soon. When it comes time to clean your curtains off, get a wet sponge and simply wipe it along the surface of the PVC. Most dirt should come off right away with this method. However, when low-quality PVC is exposed to sunlight and starts to crack, this opens up opportunities for germs and bacteria to grow. They can live in this environment and multiply, and when you wipe over them with your sponge or cloth, they won’t budge. Looking at the strip, you may see visible dirt in cracks and lines of the PVC. When this happens soon after installing the curtains, you will know you aren’t dealing with the best quality. Your curtains will also be rated for safety in certain situations. For example, good quality PVC curtains will be fire retardant and self-extinguishing. If they aren’t, they may catch on fire or melt – which would release toxic gasses into the nearby area. This is the last thing you want, especially if your employees are in the building when a fire starts. No matter what industry you work in or where you are installing your curtains, remember that there is always a risk of fire – so you don’t want to take a chance on this. If the PVC curtains are priced high, you might think this is a sign of quality. On the other hand, there’s only so much cost involved in manufacturing the PVC, and some companies are clearly charging way over the odds. When this is the case, you should be wary, as they are clearly more concerned with profit than customer satisfaction.